Rakesh Jhunjhunwala, India’s billionaire investor holds (with Rekha Jhunjhunwala & Rare Enterprises) 20,02,925 shares of Bilcare worth Rs. 139.80 crores at the CMP of Rs. 698. Rakesh Jhunjhunwala‘s investment in a stock is reason enough to attract attention to the stock because he is such a prescient investor, that he can see in a stock what other analysts cannot. Bilcare has been in the news in the recent past with its acquisition of the global films business from the INEOS Group through Bilcare AG. Pursuant to this acquisition, Bilcare‘s share price sprinted an incredible 35% in just one month! We look behind the hood to see whether inspite of this steep rise in the stock price of Bilcare, there is still steam left in Rakesh Jhunjhunwala‘s favourite stock. Bilcare is engaged in providing packaging solutions for pharmacetical companies. Bilcare commands 62% market share of blister packaging in the Indian market. Bilcare is also engaged in providing clinical supplies to Multi-national companies engaged in new drug development activities. It provides clinical trial materials support, service and complete project management; for clinical studies in developed markets like UK and US. In July 2010 Bilcare announced successful execution of its non-ClonablelD technology for the security, pharma and agrochemical sectors. it did a symbolic hand over of technology embedded products to leading companies. It holds a patent for this ‘Non Clonable ID’ finger print technology which is supposed to help prevent counterfeiting of goods. Bilcare claims that this technology can also be used for preventing counterfeiting of currency notes. Bilcare has manufacturing facilities in India and Singapore and support and research centers in UK, US and Italy. Bilcare did quite well in FY 2010. Its consolidated net sales for the year ended March 31, 2010 stood at Rs. 1,047.83 crore showing a growth of 22.41 per cent as against Rs. 856.02 crore in the corresponding period of the previous year. It recorded a net profit of Rs 116.95 crore showing a growth of 41.01% against Rs. 82.94 crore in the same period last fiscal. Bilcare‘s EBIDTA stood at Rs. 206.37 crore, showing a growth of 31.97% against Rs. 156.37 crore in the corresponding period of the previous year. Bilcare also reported encouraging Q1 FY 2011 results. Its consolidated net sales grew by 27% YoY from Rs. 238 crores to Rs. 308 crores due to strong growth in global markets and its domestic sales grew by 21% YoY whereas global revenues grew by 35% YoY. Bilcare’s EBIDTA margin improved by 180 bps from 23.1% to 24.9% mainly due to a decline in other expenses. Its Net profit grew by 34% from Rs. 22.84 crores to Rs. 30.67 crores. In Sptember 2010 Bilcare AG completed the acquisition of INEOS’ Global Films Business. Consequent to this acquisition, the global films business with 2009 annual sales of Rs 1,458 crore will now become a part of the Bilcare group. INEOS Films division is a leading global producer of high quality polymer films built on expertise and innovation. As part of the Bilcare group it will continue to play a major role in the world of pharmaceutical blister packaging, films for printing and decoration, shrink film for sleeves, capsules and plastic credit cards. Bilcare AG will now fully integrate the business which had a turnover of around €240 million in 2009 employing around 1300 people across manufacturing sites in Germany, Italy, India and USA. From all accounts, it appears that Bilcare is on a strong growth path. Its PPI business has reported 21% growth in the domestic market, higher than industry growth of 18% in the quarter. Bilcare‘s global business grew by 35% in the quarter due to improvement in the global environment. Further, with the expiry of patents of many blockbuster drugs, the use of generics will increase. It is set to benefit from the higher use of generics. Its GCS business is likely to witness good growth as most MNC pharma companies are likely to enhance their budget for clinical trials. Bilcare is also quoting at reasonable valuations. At the CMP of Rs. 698, the stock is quoting at a PE multiple of 14 on the basis of the diluted consolidated EPS of Rs. 49.12. This is not at all unreasonable given the growth prospects of Bilcare and the incremental profits that will accrue from the INEOS Films division. So, though the master stock picker, saw the opportunity much before all of us, there is sufficient juice left in Bilcare for us patient investors who want to be “partners” with the great Rakesh Jhunjhunwala. 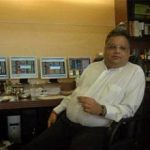 Rakesh Jhunjhunwala & VIP Industries: Best Stock Pick!